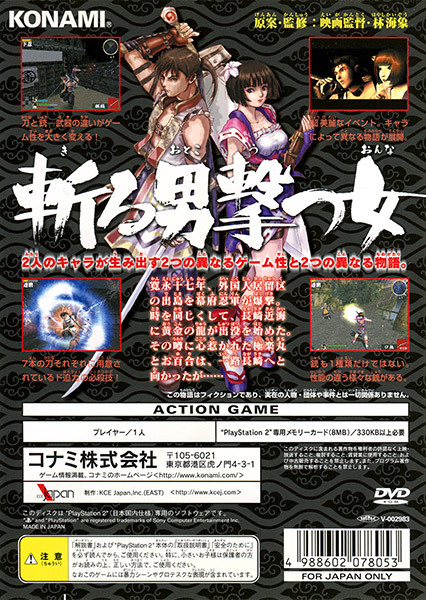 A very Japanese third-person action game, intended as a sequel to Kaizō Hayashi's 1990 film Zipang. 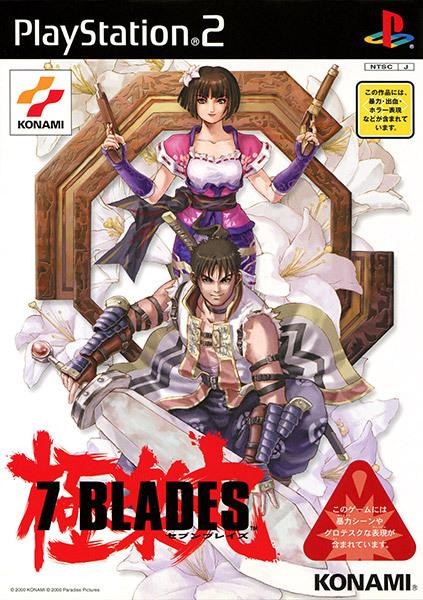 You've got the choice of two characters: Gokurakumaru, a man with a big sword; and Oyuri, his lover who uses a pistol that she's not very good at reloading. This is a really early release, and it shows. The graphics are ugly and muddy, the controls are stiff yet also slippery, and it just doesn't feel very polished at all. I also haven't figured out if it's trying to be serious or goofy, not the least because the cutscene voices are impossibly quiet and there's no subtitles. This one somehow managed to get a PAL release, though its relative obscurity suggests it didn't do too well there, either. 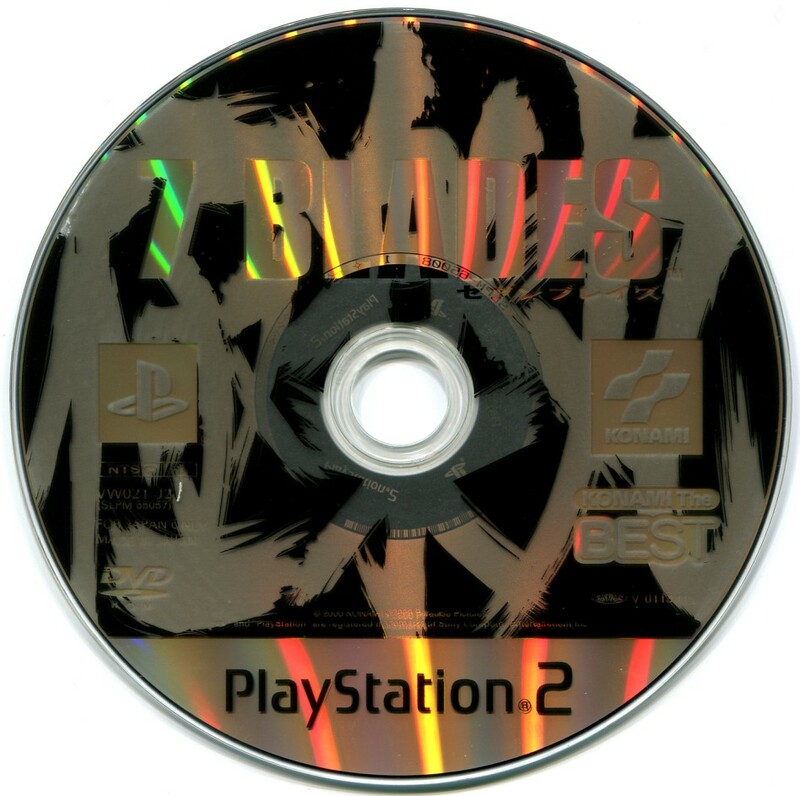 I'll need to get another copy of this at some point, as mine is mismatched -- the cover is the original release, but the disc is from the Konami the Best reprint.